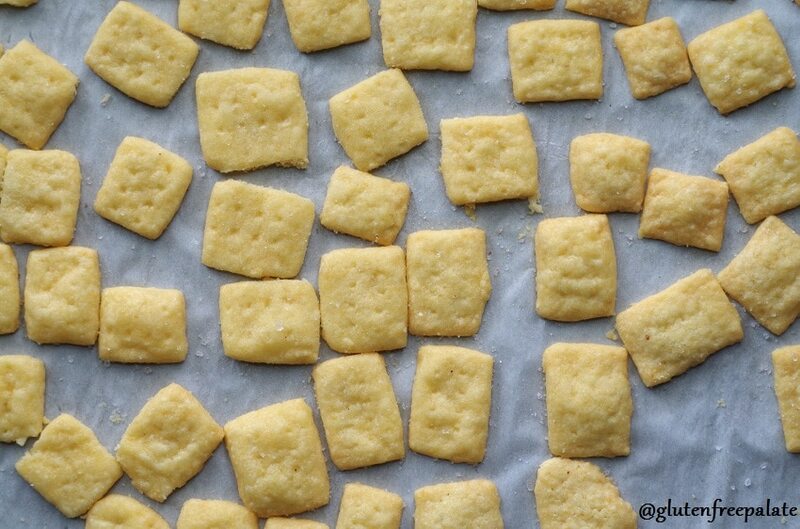 Crunchy, salty, Gluten-Free Cheese Crackers from scratch using only five ingredients. 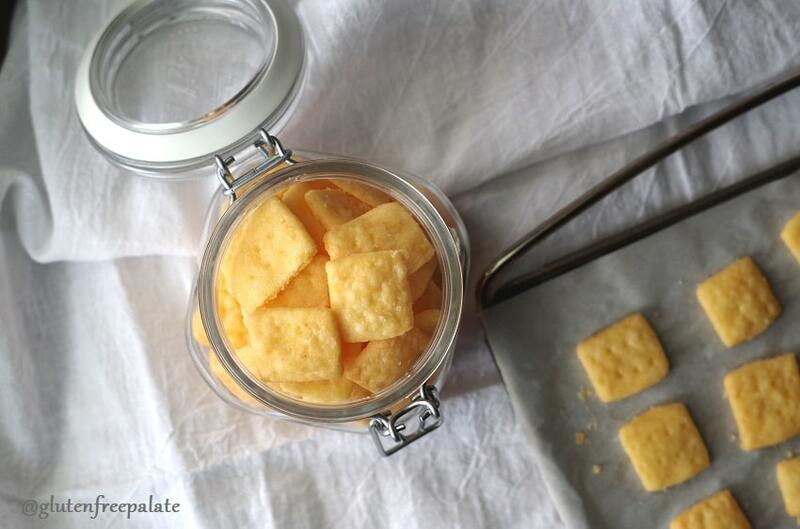 Satisfy your gluten-free crackers cravings with these super simple Gluten-Free Cheese Crackers. I feel lucky that gluten-free foods have made their way onto the shelves at the grocery store. 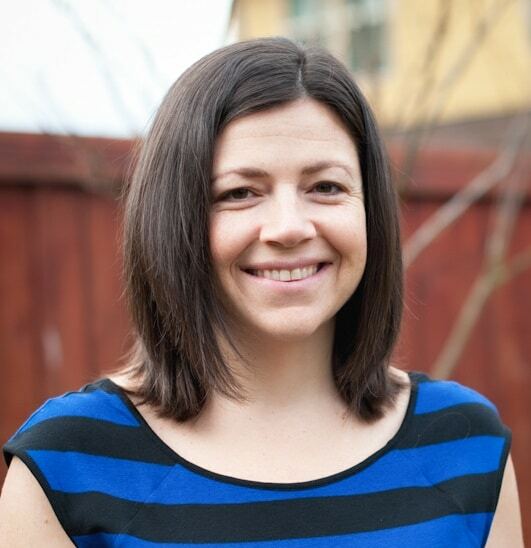 When my girls were first diagnosed Non-Celiac Gluten Intolerant (NCGI) the options were limited. Just in the past two years I have seen our choices more than double in our local stores. 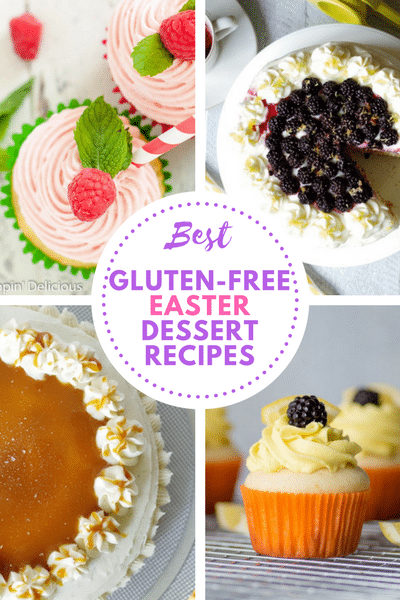 You can find everything from gluten-free chocolate cake donuts, and gluten-free pizza recipes, to pretzel and gluten-free crackers – all gluten-free. My girls love gluten-free crackers, but buying them at the store can lead to high grocery bills and lots of extra preservatives that their growing bodies don’t need. This is a super simple gluten-free cracker recipe and I’m sure you’re going to love it. I decided to make my own gluten-free crackers and they are a big hit. They are easy to make and last a couple of days in a sealed container. You can easily double or triple this gluten-free cracker recipe to make more for sharing. I haven’t tried making gluten-free cheese crackers with dairy-free cheese yet. Dairy-free cheeses are usually dryer, or they don’t have the same amount of oil that cheddar has. The oil in the cheddar is a big part of what holds the crackers together, in addition to the gluten-free flour and xanthan gum. Preheat your oven to 350ºF. Line a baking sheet with parchment paper; set aside. In a food processor, pulse the gluten-free flour blend and xanthan gum. Add the butter pieces and cheese. Pulse together until it forms a ball (about 2 minutes). Keep going until you get the ball! Place the ball between two pieces of wax paper, and roll it out to about 1/4″ to 1/8″ thick. Using a pastry wheel or pizza cutter, cut into 1-inch shapes/squares. Carefully peel them and place on a parchment lined baking sheet about 1/2-inch apart. Poke each cracker with a fork to prevent over-puffing. Bake for 12-15 minutes or until lightly browned on the edges. Cool on the baking sheet, and store in an airtight container. 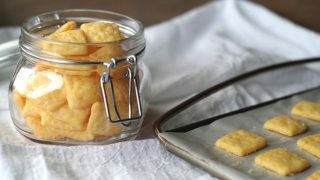 This gluten-free cracker recipe is so easy that my girls make it when I am busy or out of town. For the full recipe including ingredients please see the recipe card below. You can mix and match the cheese type to get a different flavor. I like to use sharp cheddar or Colby jack every once in a while to vary the gluten-free crackers flavors. Also, sometimes I throw in some sage or rosemary. My girls constantly ask me to make these crackers for them. They really do taste a lot like gluten-free cheeze-its and they have the same salty crunch. They only last a few days in an airtight container, but no matter – my girls usually polish them off in two days. They will snack on them at home and pack them in their lunches with meats and fruits and call it a “lunchable lunch”. If you make these gluten-free crackers, please stop by and let me know what you think! 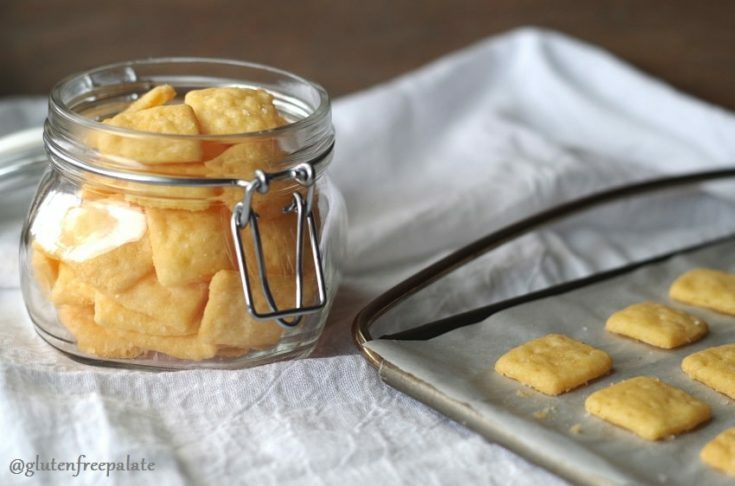 Crunchy, salty, Gluten-Free Cheese Crackers from scratch using only five ingredients. Pulse together until it forms a ball (about 2 minutes). Place the ball between two pieces of wax paper, and roll it out to about 1/4" to 1/8" thick. This looks great. 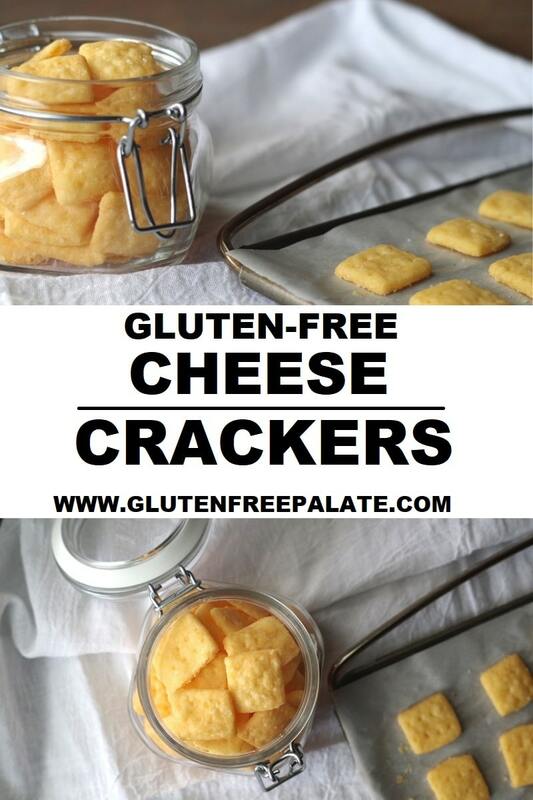 I have been looking for a recipe for cheese crackers that are gluten free!! Thank you! I’m on the keto diet and was wondering if you have the nutrition and amount of crackers per serving? Also I’m wondering if I could substitute the gluten free flour for almond flour. Thank you. I love the look of your website. 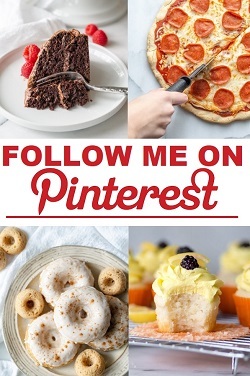 Hi, thank you for this recipe, I would love to try it out….please could you tell me the flour and butter quantities by weight in grams (or ounces!)? I use a gluten-free flour blend. You can use almost any flour in this recipe as the cheese holds it together. I’m sorry, I don’t have weight measurements. Do you think that these could be frozen? I desperately need something to send in my little guys lunch, but I don’t have the time to make batches very often. I haven’t froze them myself. I think you could freeze the raw dough, but I’m not sure the crackers would be crunchy after being frozen and defrosted. I made this today and they were awesome! I used 8oz sharp cheddar. I might actually use 6 oz next time because the flavor was pretty rich. I used 1/2 cup Cup 4 Cup gluten free flour blend and 1/4 Cup almond meal and next time I think I will do half and half. The texture will be a bit grainy but I will get less carbs and a bit more protein that way.. for my oven, 13-14 mins did the trick. I also did not use any salt and I used the dough blade in my food processor. For those of you wanting the ounce conversion, there are 8oz in a cup so 6 ounces of GF flour should get you there. (You can also “Google” the conversion. I’ve already shared this recipe with a few of my GF friends. Fantastic, simple recipe! Thank you! Thank you for letting me know you liked them! I like that you incorporated almond meal into the crackers for some extra healthy fats and protien. Should the cheese be cubed like the butter—or can it be pre-shredded? Has anyone tried adding red pepper to the flour? or black pepper? Shredded cheese! I’ll update the recipe card to be more clear. Thank you! These are amazing!! Thanks for the recipe. Awe, thank you. I’m glad you like them.